Cat spraying can cause your home to smell like an uncleaned litter box. Cats spray for several different reasons, during times of stress, illness and as a result of an unclean litter. Although it may seem like it's impossible to stop your cat from spraying, there are several different things that you can do as a cat owner to reduce and eventually stop the spaying. Keep in mind that your cat isn't spraying to upset you, cats like a peaceful stable environment, but spraying is usually a result of stress or your cat trying to communicate their displeasure. The first and most important thing to do if your cat is spraying, is to take your cat to the vets. Spraying is a symptom of several cat illnesses, such as urinary tract infection and kidney disease. It's impiortant to rule out any disease that may be causing the spraying before trying any method or tchnique to stop the problem. Once your vet informs you that your cat is healthy, then you can begin to investigate other factors that may be causing your cat to act out using her urine as a weapon. To find a veterinarian in your area read Cat Veterinarian: Finding Your Cat's Family Doctor. Keeping your cat's litter box clean is important for several reasons, one of them is that it helps to reduce or eliminate cat spraying. Cat's are very clean pets,they spend half their day sleeping and the other half grooming. As a result of them investing all that time into cleaning themselves, they would hate to mess up their bodies with a dirty litter. Making sure the litter is clean is a very important factor in stopping spraying, if the litter isn't clean, your cat will find somewhere else, that is clean, in your home to make their personal private litter box.To find out how to eliminate cat litter odor, read How To Get Rid Of Cat Litter Odor. 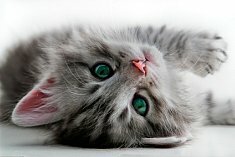 Cats like to have their litter box in a private quiet area in the home, although they might clean themselves in the middle of your living room, they like to use the bathroom in private.If you have a busy household, place the litter box in a area in the home that has the least amount of activity and noise, the bathroom might be a great place. If you live in a home with several floors, try and put a litter box on each floor, it might seems like alot more work, but if your cat is in the basement and there's no litter box down there, he/she might just find a quiet corner to use as a litter box. 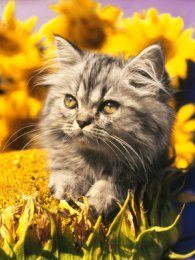 To find the the perfect type of litter box for your cat read Cat Litter Box: Which One Your Cat Will Love And Actually Use. Cats love routine, and a peaceful home. They like to know what to except everyday, and want things to remain the same, the problem is that life doesn't always work that way. As humans we may understand that, but change can be very upsetting for our feline friends. I remember when we bought a new sofa set, a good change for us, but not for our cats. Our usually playful cats, weren't interested in playing and would just stare at the new sofa set and periodically howl and make a crying sound for days. Many cat behavior problems are caused by changes that we consider positives such as a new baby, a new pet or moving to a new place can result in a stressed cat and cause cat spraying. To help your cat go thrugh this stressful time, spend more time with your cat. Increase play sessions and petting sessions, buy your cat a cool new toy that will help to keep his/her mind busy. It's important to make your cat feel special, even though you have a new bundle of joy or a new pet. There are products on the market that contain pheromone. They usually come in spray from, but you can allso buy them as plug ins that you plug into your outlets. These products mimick your cat's natural facial pheromones and releases them, they help to calm and comfort your cat and help to reduce or eliminate cat spraying. 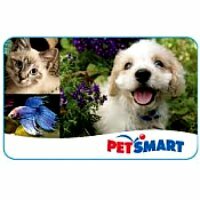 Feliway® is a popular pheromone product that can be found at your local pet store. There are also commercial products, like Scatmat, that have motion detectors, so they respond with a spray, a noise, or a static pulse to stop your cat from returning to that same spot to spray. 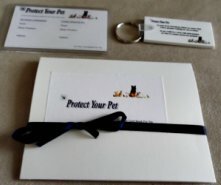 These products can be found at your local pet sore and online. Throughly clean the area with an ommonia free cleaning product, which replicate the smell of urine and triggers cat spraying.Half water half vinegar isn't only a safe cleaning product for pets, but it also helps to remove that strong urine scent. After thoughly cleaning the sprayed spots, try and restrict the area from your cat, either by keeping a door closed or by putting up a child safety gate. It's important to try and keep that area off limits so that your cat doesn't return to use it. Cats hate the feeling of certain textures, so buying a piece of material, and covering it with cat safe double sided tape or foil paper, may help to stop your cat from returning and spraying in that area. Cats that are spayed or neutered are less likely to spay. Male cats are more likely to spay, expecially prior to being spayed, cat spaying usually stops right after the operation. To find out more about the benefits of neutering your cat, read Neutering Your Cat:The Surgery And The Benefits. Although we do not recommend this method there are anti anxiety drugs available to reduce cat spraying. This method can have a negative impact on your cat personality,changing their playful active attitude,therefore it should be considered as a last restort after consistently trying everything else, and speaking with your vet. It is important to keep in mind that there is always a reason behind cat spraying and it is our job as cat owners to try and identify that reason and be consistent. Is Your Cat Peeing Outside Of The Litter Box And Around Your Home? Here's an easy to follow step by step guide that will show you exactly how to get your cat using the litter box again.....Guaranteed!